There's nothing quite so comforting as sinking into a sofa covered with soft cushion covers. 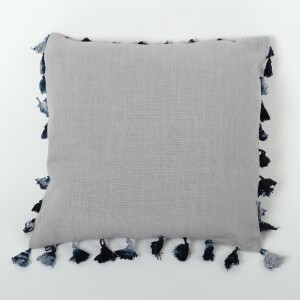 Our plain blue cushion cover with tassels will be a perfect match and easy to mix with different colours, shades and patterns. 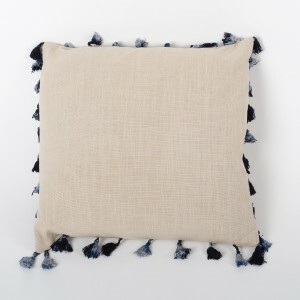 Modern and Stylish square cushion cover. 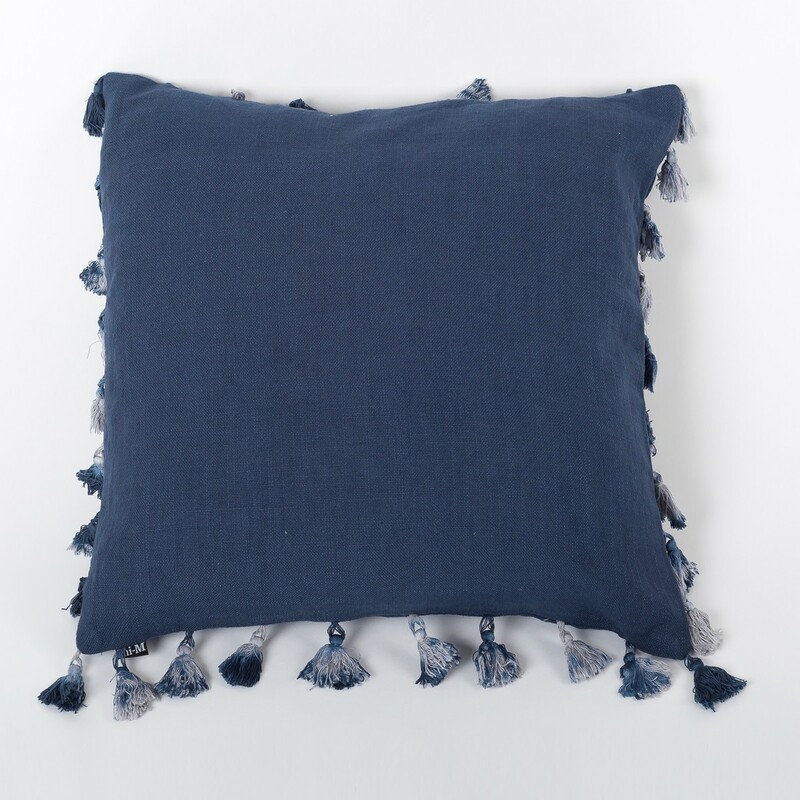 This contemporary linen with tassels cushion cover will be the perfect add to your existing home décor. Its blue colour will bring a chic look as well as a relaxing environment to your special room. It will match any colour scheme or home décor. It will look great on your sofa or bed. 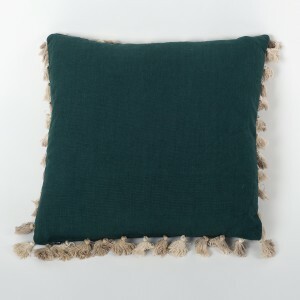 Duck feather cushion pad available on request. Note: Cushion covers are not including the inners.